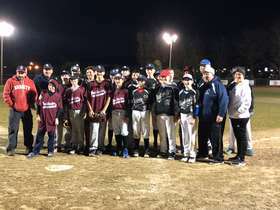 REGISTER NOW FOR FALL BALL BASEBALL. FAMILIES CAN REGISTER AND PUT AT LEAST HALF OF THE REGISTRATION FEE DOWN AND PAY THE REMAINDER BEFORE OPENING DAY! Our Annual Awards Banquet will be held on Friday, February 8th 7:00pm at the Executive Court Banquet Facility (1199 So. Mammoth Rd. Manchester). There will be aroast beef, lasagna, and chicken finger buffet raffles for Bruins, Celtics, Red Sox tickets and area merchant gift certificates. The cost has been reduced this year to$25.00/adults and $15.00 for players and children 12 and under. THIS IS ALWAYS A SPECIAL NIGHT WHEN THE LEAGUE COMES TOGETHER AS A FAMILY TO ACKNOWLEDGE ACHIEVEMENT! Tickets can be purchased at our EARLY 2019 SPRING REGISTRATION ON SATURDAY, DECEMBER 8TH AT WENDY'S ON SO. WILLOWSTREET IN MANCHESTER FROM 11:00AM TO 2:00PM. 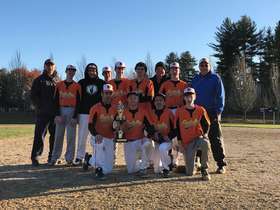 WINTER WORKOUTS: Once again this year Joe Blodgett will conduct our winter workouts at the Ultimate Sports Academy for all players in our league. The pricewill be $10.00/player to cover the facility cost and the sessions will be broken into two groups HIGH SCHOOL PLAYERS (Colt League) and MIDDLE SCHOOL PLAYERS (Pony League). Starting date will be announced shortly. 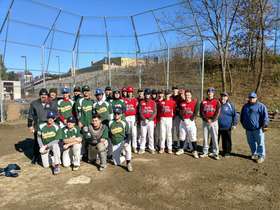 In closing we would like to thank all those who worked very hard to keep our league the "BEST RECREATIONAL BASEBALL PROGRAM" in Southern New Hampshire!You should all be proud of what we have accomplished! !Have a safe holiday season! 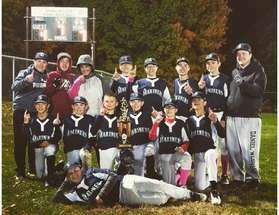 2018 FALL BALL PONY LEAGUE CHAMPIONS! 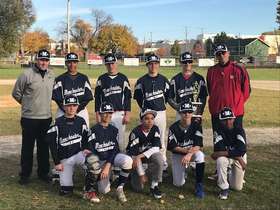 THE MARINERS ARE THE 2018 PONY LEAGUE FALL BALL CHAMPIONS!